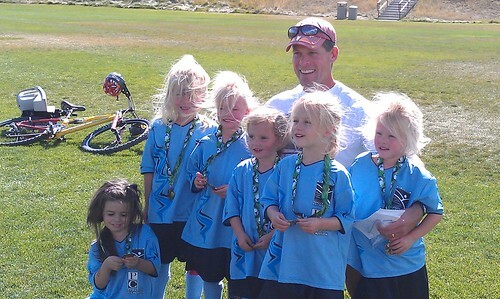 Ellie joined a soccer team this fall. She really enjoyed it. Always wanted to go and play. She did well one-on-one but when it was time to play with another team she didn’t really get in there and mix it up. She would run perimeters around the group and observe. 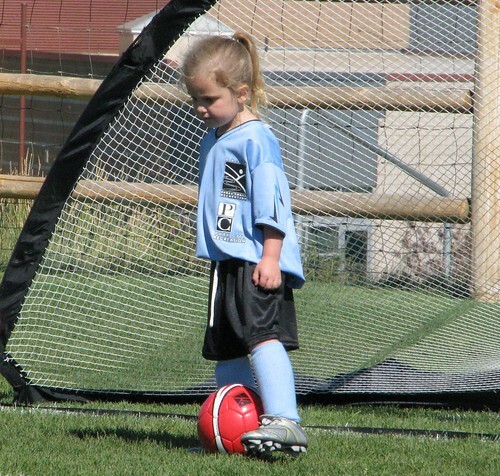 One week I said to her you need to get in there and kick the ball and try to take it from the other team so you can score a goal. 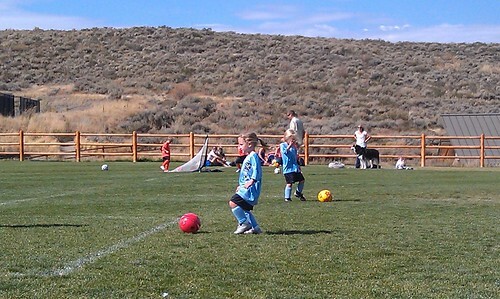 Her reply “but Mom it’s not nice to take things from people” and that was how the soccer season went. 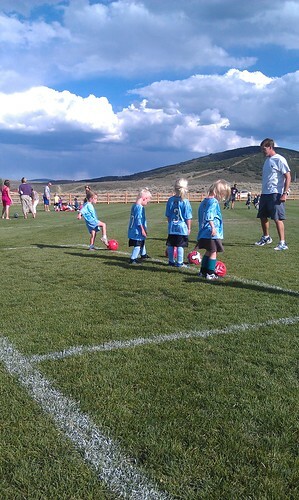 She was good at kicking it back in field and did well with the drills during practice. She was always willing to go in the game, but she just didn’t want to mix it up with the others. Summer 2011 008, originally uploaded by Danette Marcoccia. Isn’t it too bad that we have to undo all the kindness that is taught just to play a game! Keep it up Ellie! You are a kind, loving person like your Mom & Grandma, and that is what will get you far in this life!